Our friends at RadioSEGA are back at it once more for another rousing round of WinterFest, bringing together shows and masters of ceremonies from the past and present as well as special guest hosts (including yours truly) for over 30 hours of special broadcasts lasting all weekend long. Tune in starting now to take part in the festivities, enjoy some sweet SEGA and Sonic tunes, and who knows? Maybe you might walk away with a neat prize like Steam codes, Insert Coin vouchers, and much, much more, and become the envy of all your friends! Shows annotated with an asterisk (*) will be the shows with loot to be given away. Be sure to tune in to The Music Plant broadcast tomorrow – I hear that giveaway in particular will ultimately be Smashing! 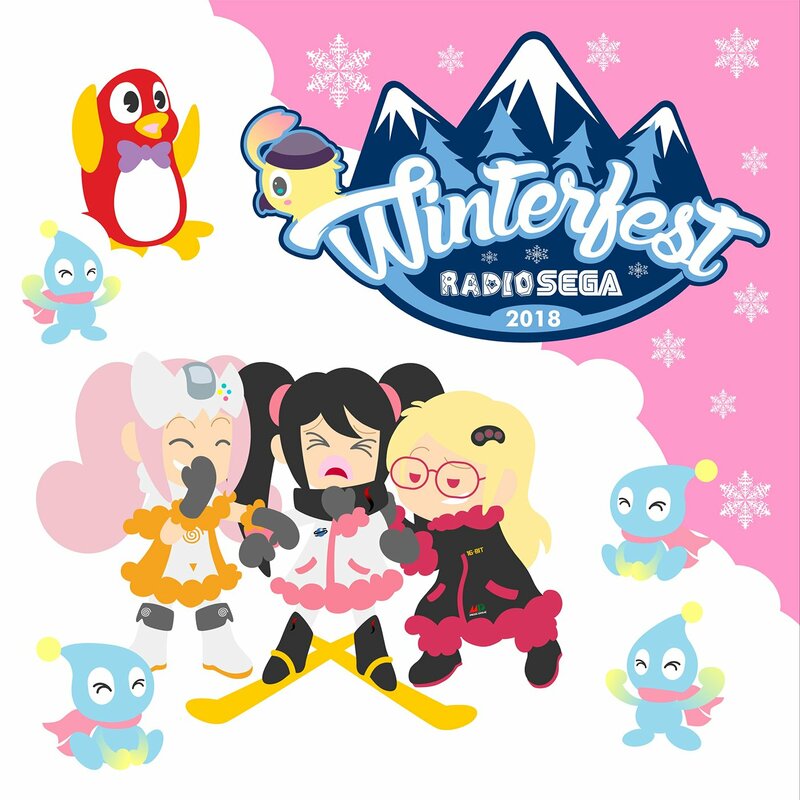 From Friday, December 16th to Sunday, December 18th, our friends at RadioSEGA will be hosting their third annual WinterFest, bringing together fans from all over the SEGA community for three days of quality entertainment and live giveaways! Be you a Sonic fan, NiGHTS fan, Yakuza fan, or Atlus fan, there will be a little something for every fan under the SEGA banner to enjoy come this weekend. The event is hosted by many of the station’s own programs such as Rexy’s SEGA Mixer Drive and KC’s own The SEGA Lounge, as well as special guests from The Sonic Show, SEGA Nerds, and many more. RadioSEGA’s fundraising marathon “SEGATHON” will take place this weekend, in aid of Cancer Research UK. SEGATHON returns for the second time since it was first held back in November 2011, raising nearly £750 for BBC’s Children in Need campaign. RadioSEGA DJ Gavvie will once again host the day-long event, and will be joined guest co-hosts from across the Sonic & SEGA community across the course of the event. SEGATHON will also be holding a raffle giveaway during the show, which can be entered by donating £5 to the fundraiser (with the prizelist to be announced soon). The show will kick off on Saturday 4th of May at 10pm BST. Further details can be found on the RadioSEGA Website. 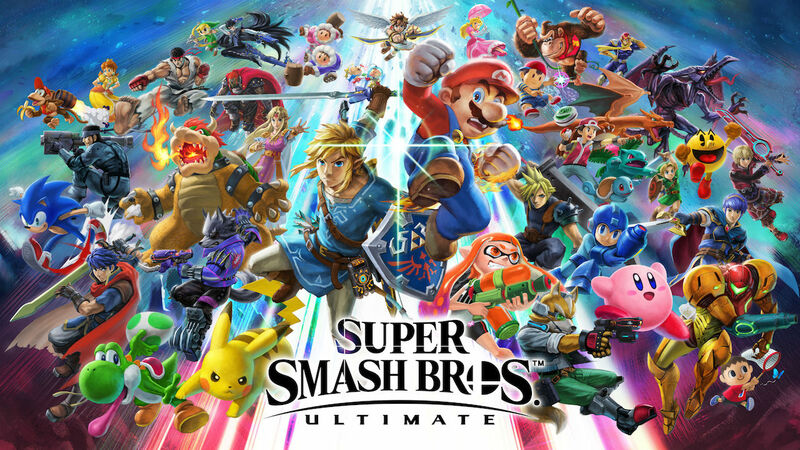 If you’d like to donate a prize or want to be a guest co-host, you can contact Gavvie by either Twitter (@GavvieUK) or email (ps2_dc[AT]hotmail[DOT]com). 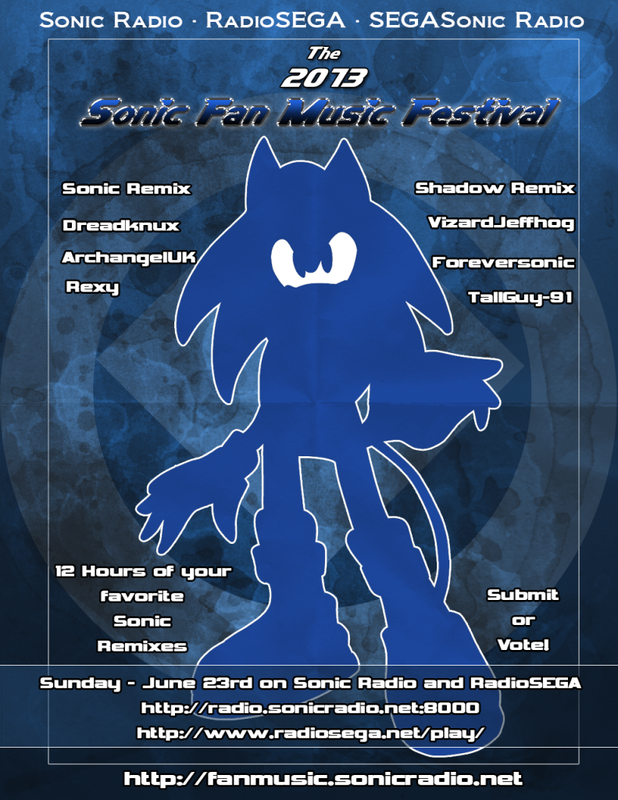 A follow-up of last year’s event, our friends at Sonic Radio will be hosting the 2013 edition of the Sonic Fan Music Festival, once again in conjunction with Sonic’s anniversary! A collaborative effort between Sonic Radio, RadioSEGA, and SEGASonic:Radio, the 12 hour extravaganza will be taking place via the former two’s servers on Sonic’s 22nd! Handpicked by you, we’ll be celebrating with some of the best and most favourite tunes put together by various musicians in the community! The fun starts at 8am PDT | 11am EDT | 4pm UK on June 23rd, 2013, so be sure to tune in! Remixers, listeners, submit and vote for the top 20 on the Sonic R Show through sonicremix@sonicradio.net! Speaking of which, did you know that we are currently looking for new DJs on SS:R? Do you think you have what it takes? Auditions close in two weeks!